Together We\’ll Impact Russia for Christ! Greetings from Ivanovo , Russia from the Kotchan Family! We haven’t been sending any updates for a while and I just can’t wait to share with you our exciting news! We moved our Christian book store to a new and great location in the Silver City Mall, we were able to purchase all new furniture and equipment and install 3 new computers connected to the internet which is bringing many young people to our store. I am going to send some pictures soon. Also, 2 months ago we started Alpha Club at the Ivanovo College where we are holding weekly discipleship outreach studies to students. While political climate is getting colder in Russia , our God is giving us so many unique opportunities to share the gospel with young people. Our nonstop ministry at the Shuya orphanage is going great, I am sending pictures attached made yesterday at the first this year open field picnic. 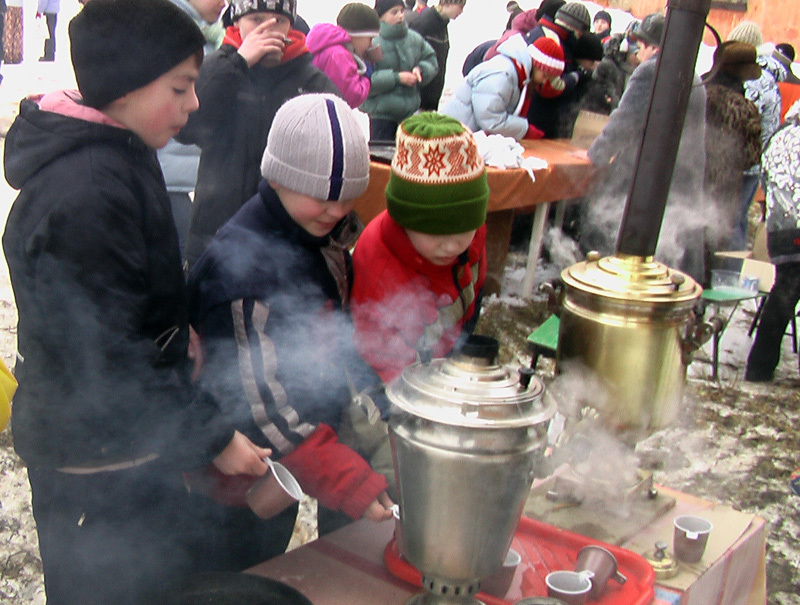 Although the weather was still pretty cold kids were thrilled to play outside and eat tasty pancakes with hot tea! We want to thank you for your thoughts, prayers and for your generous support. SPASIBO I DA BLAGOSLOVIT WAS BOG. GOD BLESS YOU AND YOURS. This entry was posted on Monday, April 21st, 2008 at 1:37 pm and is filed under 1. You can follow any responses to this entry through the RSS 2.0 feed. Both comments and pings are currently closed. As we continue our free distributing of the New Testaments to the college students, Orphans and young people visiting our bookstore we still need to buy 1500 copies; the cost of one copy of the New Testament in Russian is $ 5.00 and if you would like to help us, even with a small donation, please click on Make a Contribution above thie post. Together we are planting seeds of His word into good soil, young people – the future of Russia!